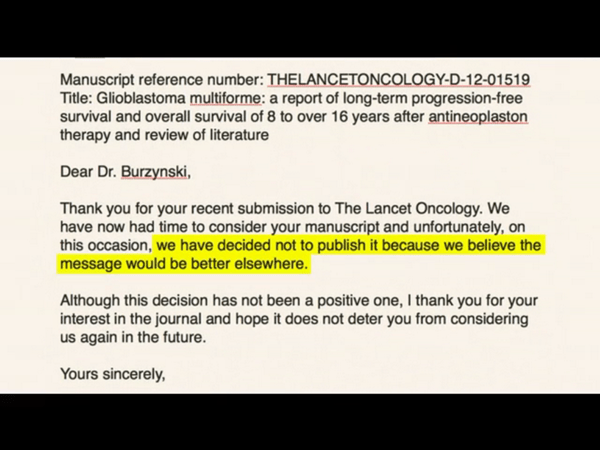 This entry was posted in Antineoplastons (ANP), Bob Blaskiewicz (Robert J. Blaskiewicz @rjblaskiewicz), Burzynski II, Debate ?, FW (@FrozenWarning), Glioblastoma Multiforme (GBM), JosephineJones (@_JosephineJones), Scientific Publications, Stanislaw Rajmund Burzynski, The Lancet Oncology, The Skeptics and tagged "11/26/2012 phase 2 clinical trial Progression-Free Survival (PFS) and Overall Survival (OS) re patients 8 – 16 years after diagnosis, "2 hours 8 minutes and 51 seconds", "Although the decision has not been a positive one, "Bob Burzynski Skeptic Sez Multiforme Manuscript Meme Message Memorable", "Burzynski Movie II", "Dr. Burzynski", "Glioblastoma multiforme: a report of long-term progression-free survival and overall survival of 8 to 16 years after antineoplaston therapy and review of literature", "Google+ Hangout", "NO such example is on Al Gore’s Internet", "rejection letter", "Speak now or forever hold your peace", "Thank you for your recent submission to The Lancet Oncology. 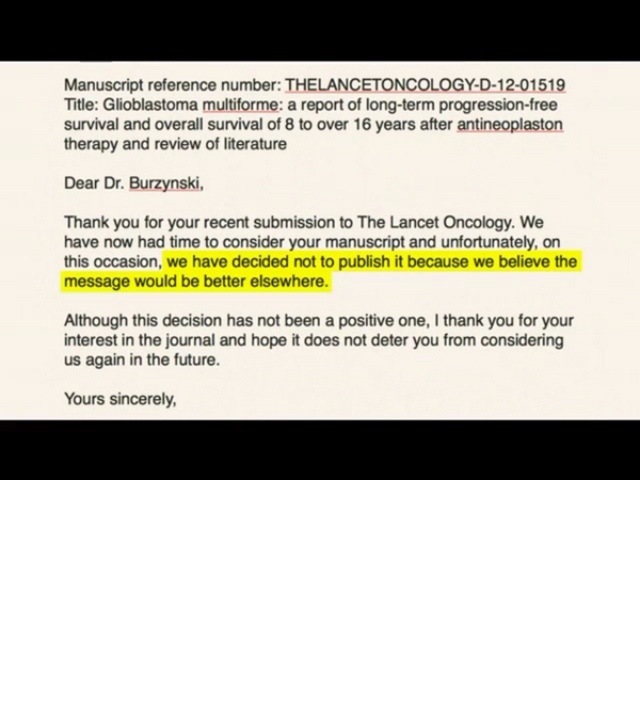 We have now had time to consider your manuscript and unfortunately, "The Lancet Oncology Peer Review Team D-12-01519", "Whose got one ? ", 1:29:53, @DianthusMed, @drpaulmorgan, @frozenwarning, @Majikthyse, @oracknows, @_JosephineJones, Bob Blaskiewicz, Burzynski: Cancer is Serious Business, Eric Merola, http://pbs.twimg.com/media/BT6kM-zCcAAHsnV.png, I thank you for your interest in the journal and hope it does not deter from considering us again in the future", Josephine Jones, on this occasion, Part II (2)", pic.twitter.com/8n3fQkX0v0, postulated, results", THELANCETONCOLOGY-D-12-01519, tweeted, we have decided not to publish it because we believe the message would be better elsewhere" by didymusjudasthomas. Bookmark the permalink.